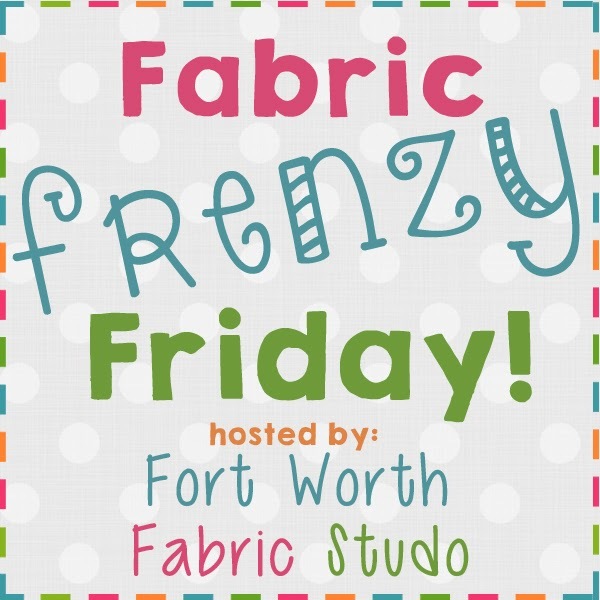 A few things before we get to Fabric Frenzy Friday! 1. We just started a new series on the blog called "Oh Sew Baby!" This series will run until the end of June and features a lot of great bloggers and new sewing related tutorials just for baby! So be sure to check back often and see what's new! You can go HERE to check out all the dates! 2. We are giving away a set of 3 Simply Style Charm Packs! Go HERE to enter! 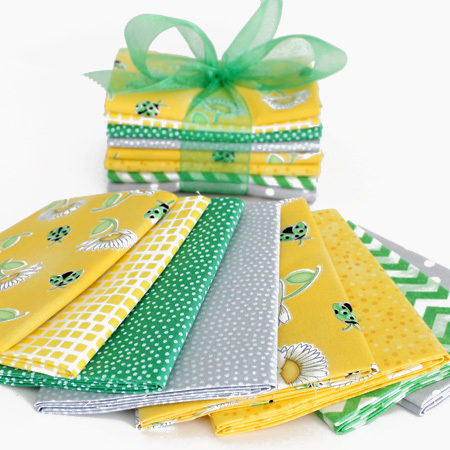 Walking On Sunshine is an 8 piece fat quarter bundle full of lovely sunshine! This mixture of fat quarters features cute little ladybugs, daisy flowers, and splashes of green and gray! Have fun with your kids! Summer is my favorite time--I love having them all home! Wow, can't believe your kiddos are already done! Ours have a week left to go, but the girls are already excited to be planning summer sewing adventures. . .